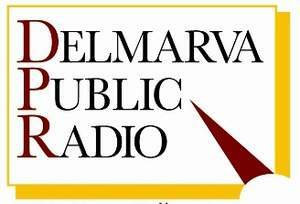 I was interviewed for Delmarva Today: Writer’s Edition on Delmarva Public Radio about my short story, “Undertow.” You can listen to the half-hour program with me, Hal Wilson, Wilson Wyatt, and Bill Peak online here. This episode of Writer’s Edition featured work from the forthcoming issue of The Delmarva Review. This was my first time in a recording studio and the whole experience was terribly exciting, from the expert work of my colleagues, to the actual “On Air” sign, to the roaring sound in my ears that that began when they On Air sign turned on and ended a half an hour later with me wondering what on earth I had just said. Well. All in all, a good time was had by all. Listen to the program! And when Volume 6 of The Delmarva Review comes out soon, get a copy!